Stand out for the right reasons with our long-lasting PVC banners. Printed in full colour onto tear-proof PVC material, these banners are built to last whether you use them indoors or out. Stand out for the right reasons with our premium quality PVC Banners, at a great value price. These banners are built to last with full colour and high resolution printing on tear-resistant PVC. Plus they are perfect for indoor or outdoor use, thanks to their water- and weather-resistant properties. Available in any size, from 200mm x 200mm to 10m x 1.35m. Selecting this option means that you will be uploading your print ready artwork at the time of ordering or after using the file upload link on the home page. Please check your artwork is print ready in line with our templates. Any artwork that is not the correct size will be printed proportionally (not stretched) scaled to fit. Selecting this option means that we will accept file types of pdf, jpg, tif, eps and convert this to a print ready pdf x1-a file. Colours will be converted from RGB to CMYK. We will check and warn you if the bleed and/or size is incorrect. We will not check your grammar, spelling or contact information. Selecting this option means that we will include an Artwork Check. We will check your artwork is the correct ratio for the size ordered. We will warn you if you text / artwork is too close to the edge of the print, any missing pages, incorrect number of files. Please supply a full brief / description of what you would like on your design. We will produce a design and email a proof for you to check. We include up to 2 subsequent email proofs within the price quoted. We will also source up to 2 images where applicable for your design. We DO NOT proof read your content or send your job to print without written sign off. For an additional charge we can provide additional proofs, source additional images and scan any elements you'd like to include. You can use this option and we will provide a design for you, we will ask you for a design brief and this price will include three design changes, additional changes may be charged for on an ongoing basis. The lead time is working days from receipt of print ready artwork and must be received before 11am. If we are designing / setting up the artwork for you, the lead time will apply from the time at which you email to accept the proof. 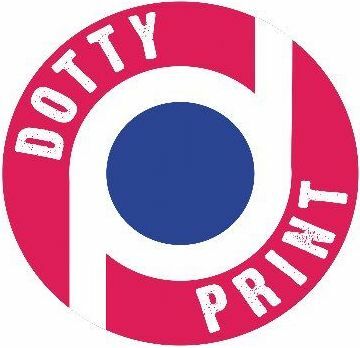 If you need your order faster, please call us on 01943 608181 or email us at enquiries@dottyprint.co.uk and we will confirm if it can be done and the cost. 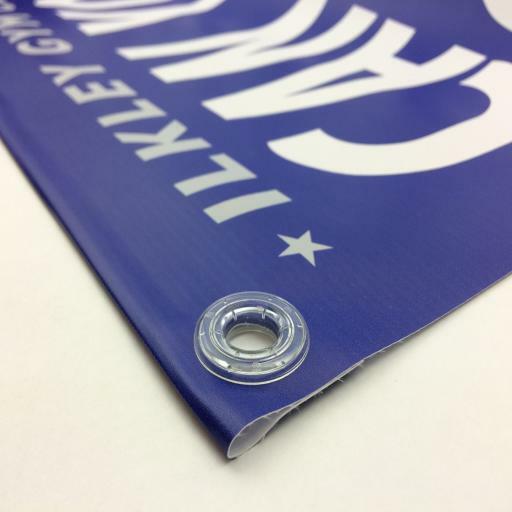 These are the product templates for Banners please note that there is a 35mm hem on both the eyelets sides which will be turned over, also don't forget a quiet space around the banner.